These are such a fun bead. 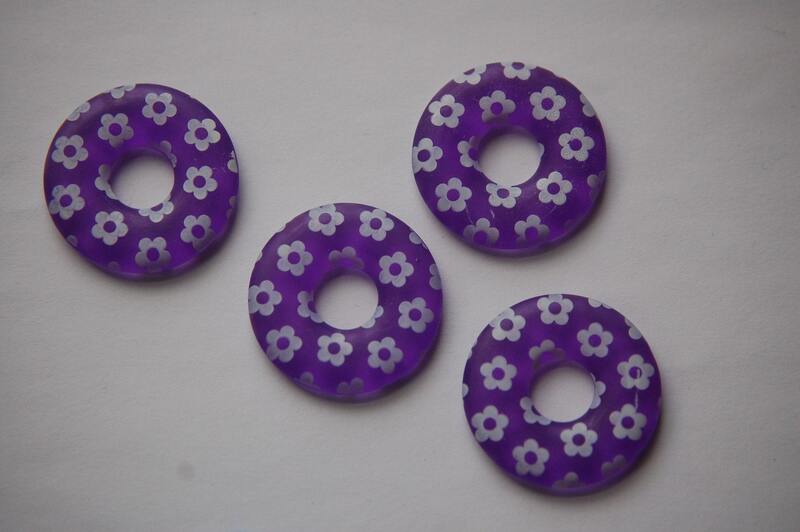 They are a vintage lucite ring or hoop shaped bead done in a purple color. There is an all over white flower design. These measure 30mm. You will receive 4 of these. I loved all the treasures, the beads and buttons are pretty and unique for me, thank you very much!! Thanks for a terrific transaction! Thanks again for the prompt delivery and well-packaged supplies!